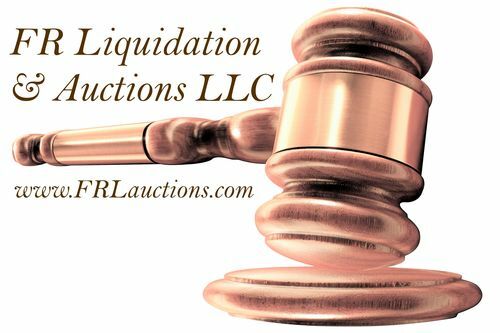 Enter your information in the form below and we will notify FR Liquidation Auctions Inc that they can contact you about your inquiry. "Awesome auction house. Great to deal with!" "Great people to buy from. They've worked hard and honest to get where they are." "Reliable professional in every respect." "A pleasure doing business. Excellent and prompt service." "Fred and Rose at FR Liquidation & Auctions are fantastic to work with. If you need to clean out the house, are liquidating a business, fundraising, you name it, they can take care of you. They are professional and down to earth. Take great care in making your auction as successful as possible. If your a buyer looking for great items you owe it to yourself to check them out. I have both used their services and have purchased many items from them. Give them a try you won't regret it!!" Fred and his crew did an outstanding job with our family estate & industrial liquidation. They were knowledgeable, professional and orderly from beginning to end. The high volume auction was an absolute success and we enthusiastically recommend Fred and his crew! "What a wonderful experience! So professional and caring! We were liquidating our warehouse of vases, decor items and rental items. FR came out, grouped it together, took photos, posted great photos online and got a great amount of exposure for our goods. I didn't have to do anything!! They sold it for us, came out and helped customers get their goodies and load up their stuff, then they even swept out my warehouse. I just cannot say enough nice things about this company. They had a great following and got top dollar for my stuff! I would definitely use them again!" "Fred Durnbaugh and his associates are very professional and carry themselves with dignity. They always go the extra mile to make sure their customers are taken care of and pleased with every outcome." "Excellent customer service. Great product and great deals. "Customer Service, Offerings, Other, Quality, Timeliness The auctioneer and family were courteous and kind. Very thoughtful and caring to my needs and requests. Their communication was far above standard and deeply appreciated. Wish they would sell more in my neck of the woods! I live in Springtown, Tx and participate in auctions within 25 - 35 miles of my home. By far this is one of the best auction houses in D/FW!" Everything was right on the money! Wonderful company great people, no haggles, no arguements, doing business was top of the line. Thank You! Fred and rose are the best ..honest and hard working. A pleasure to do business with them! 1st auction with you all. Mike, Fred and Rosa were very helpful. Extremely helpful and kind staff. Efficiently located all of my items and loaded them onto handy cart. Didn't rush me while I packed the car. 5 stars!! !